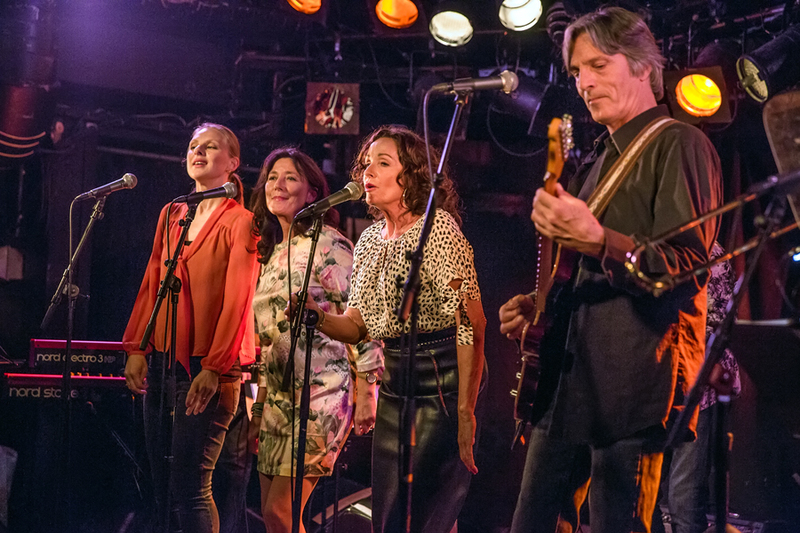 In 1979 Chipahua was formed with members coming from the Institute of Musicology at the University in Oslo, together with some of the best singers and jazz rock musicians in Norway. 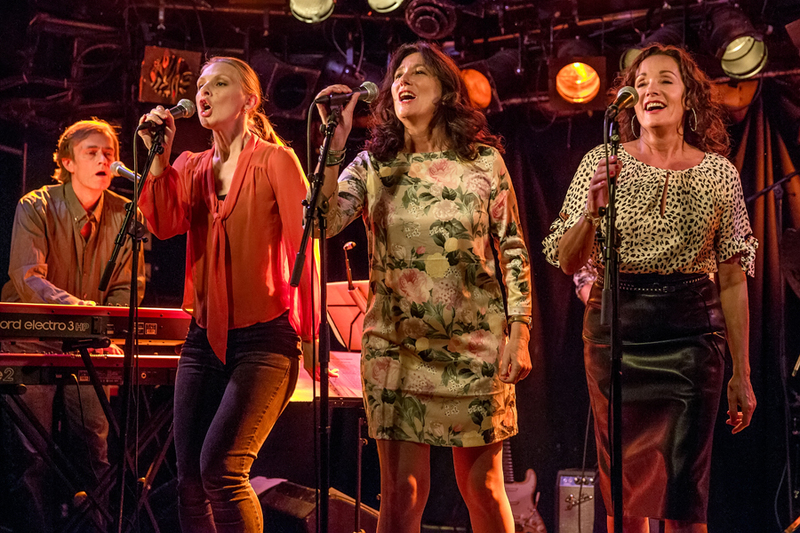 They played around at clubs, and soon became the house band at legendary Oslo club, Club 7. During the years they had some personnel changes, but the nucleus of the band is still the same as in 1979. After Chipahua broke up in 1993, they have had several comebacks, and also some in recent years. Thursday night they played at John Dee in Oslo, and I had a great night seeing them again. 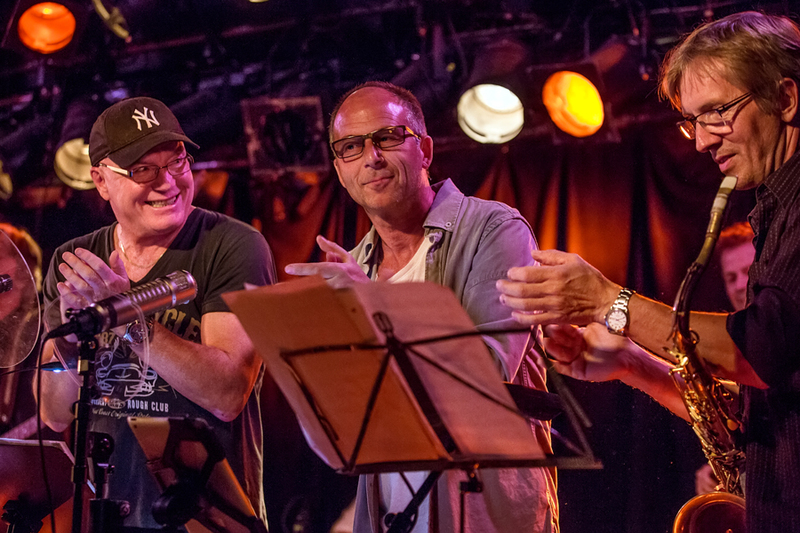 The original members of Chipahua were Geir Holmsen on bass, Bjørn Jenssen on drums, Kjell Larsen on guitar, Ole Henrik Giørtz on keyboard, Sidsel Endresen on vocals and Morten Halle on saxophone. 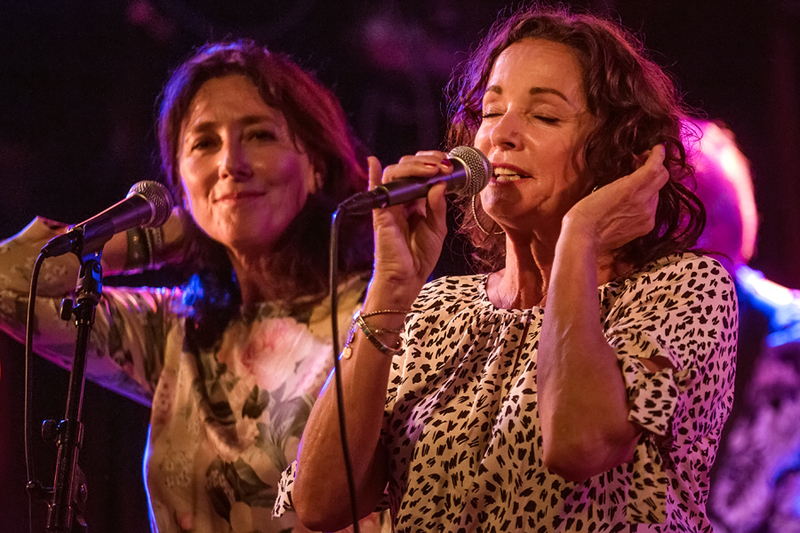 In 1982 Inger Lise Rypdal, Maj Britt Andersen and Freddy Dahl joined on vocals, while Nils Petter Molvær and Torbjørn Sunde came in with trumpet and trombone, plus Jon Eberson on guitar and Finn Sletten on percussion. Chipahua disbanded in 1993, but came back again in 2002, but now with Torun Eriksen instead pf SIssel Endresen, and Jens Petter Antonsen instead of Nils Petter Molvær. This is the same line up as I saw at John Dee. 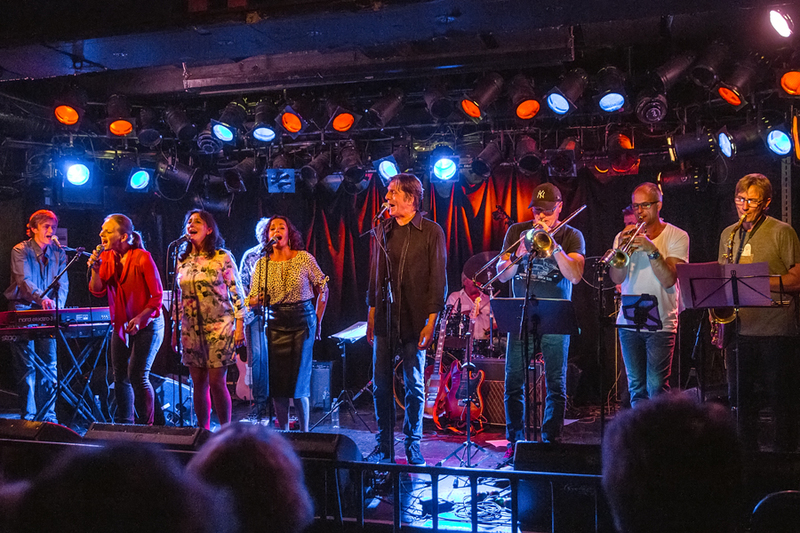 With four excellent singers and instrumentalists that could literally play everything they liked, Chipahua soon became a favorite band among everyone who liked funky music and soul. 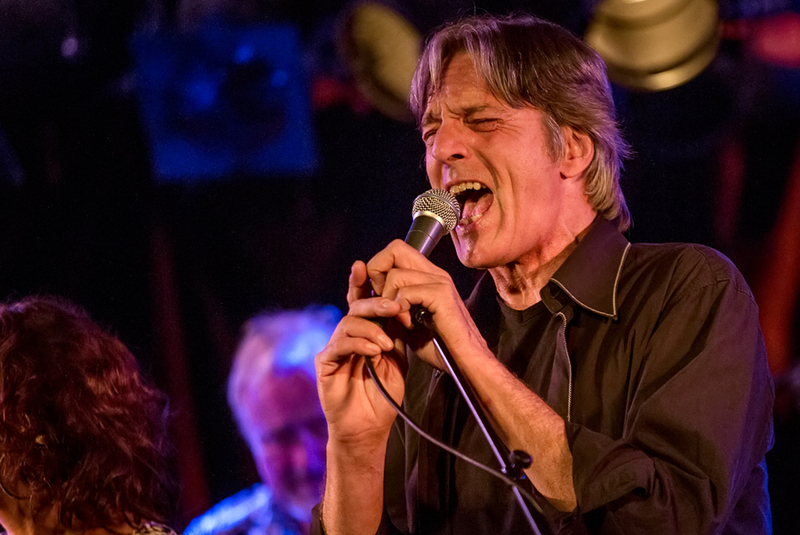 The band has never been known for new and original songs, but a concert with Chipahua is a tour de force through a best of playlist of soul and funk hit songs from the 60’s and 70’s. What makes a Chipahua concert fun, is to see the joy the musicians show when they are on stage. They have fun together, and it is contagious, making the audience smile and dance in front of the stage. Already the second song, How Sweet It Is, written by Holland, Dozier, Holland and performed by Marvin Gaye in 1964, but better known with James Taylor, showed this. Chipahua did the Marvin Gaye version with Freddy Dahl on vocals, which was appropriate for the band. Next out by the vocalists was Maj Britt Andersen with Baby, I Love You by Aretha Franklin. Then I Love You Too Much by Stevie Wonder, with Torun Eriksen on vocals, followed by an Alicia Keys song, Tears Always Win with Inger Lise Rypdal on vocals. 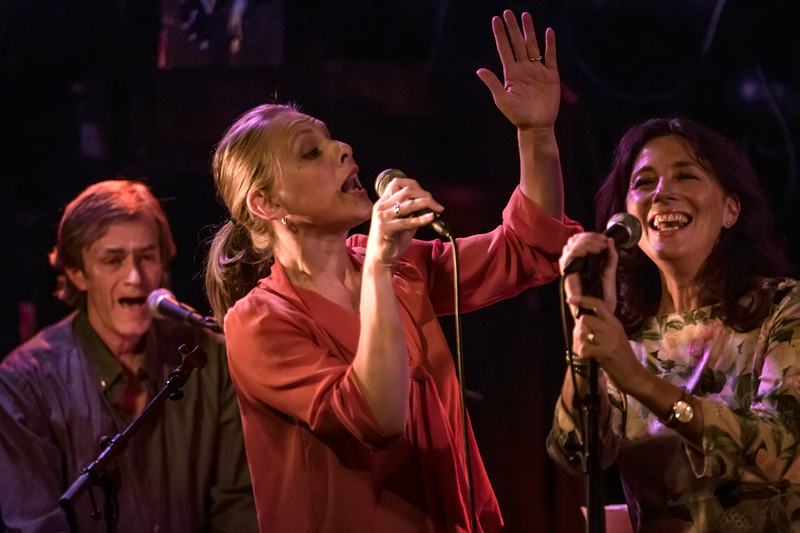 After that we got (If It) Hurts Just A Little with Freddy Dahl, Reverend Lee by Roberta Flack with Maj Britt Andersen, and I Say A Little Prayer, one of Aretha Franklin’s top songs with Inger Lise Rypdal on vocals. Inger Lise Rypdal was Norway’s first soul singer, recording Get Closer and Baby, Baby with Wentzel in 1968. She got a big hit in Norway the same year with Norwegian lyrics to Harper Valey PTA, Fru Johnsen, and turned more to pop music than soul. But she has always had her heart in soul, and her renditions of Aretha Franklin and Dusty Springfield with Chipahua is top class. 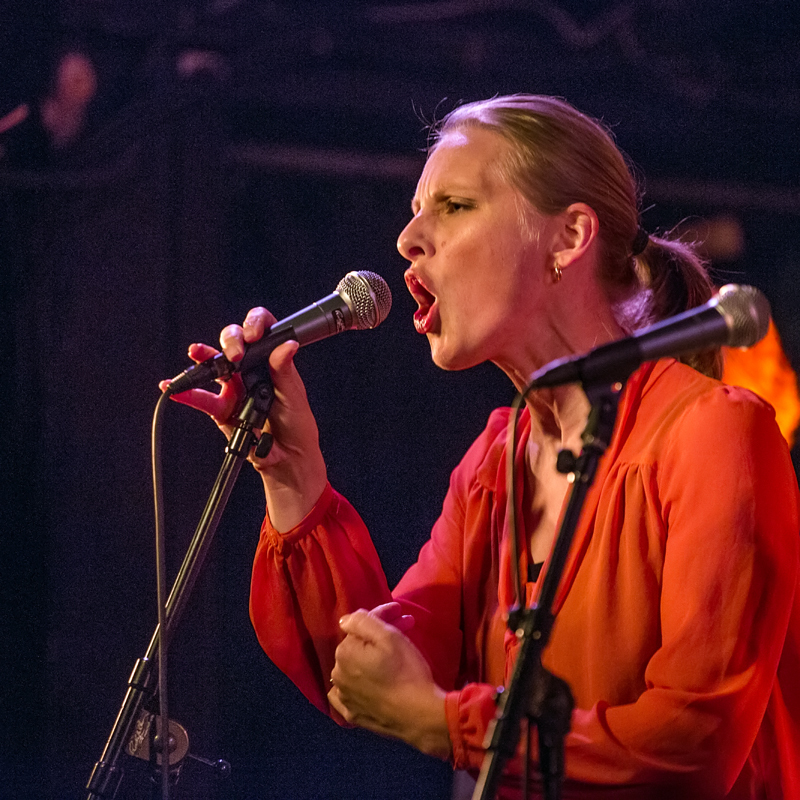 Maj Britt Andersen is the younger sister of Inger Lise Rypdal, and started her career as a singer with local band Bruno. 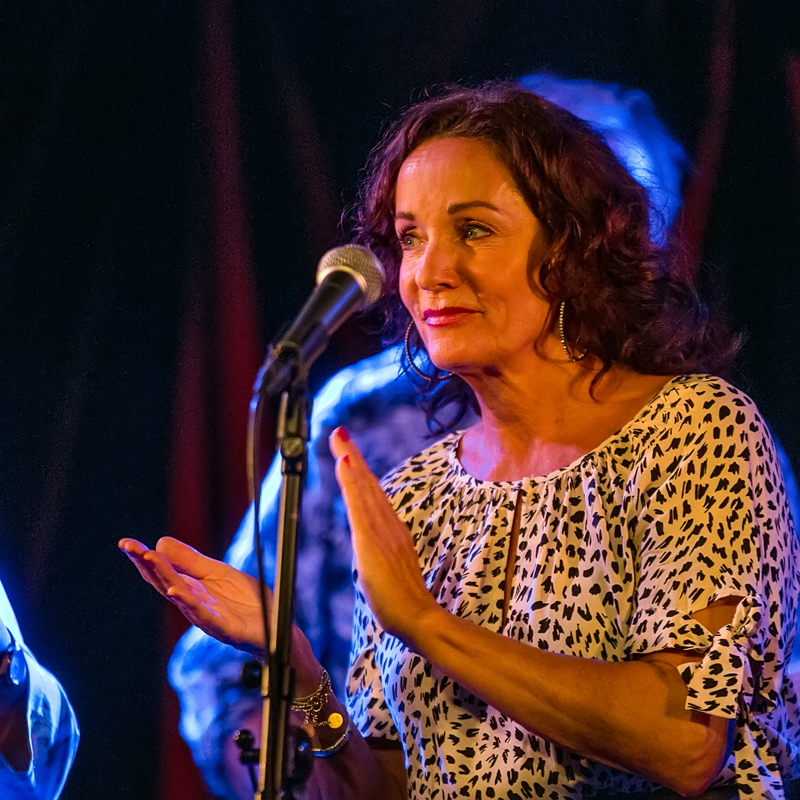 She quicly established herself as a versatile singer in many styles, but became a household name in Norway when she and her husband, bassist and composer Geir Holmsen and lyricist Trond Brænne, released “Folk er rare” (People are weird) in 1986, which they got a Norwegian Grammy for. They followed up with four more albums with quality songs for children during the next eight years. Beside songs for children, Maj Britt has released several other albums during the years. Torun Eriksen is the youngest of the singers in Chipahua, and her background is jazz. She is 20-25 years younger than the other singers, but has no problems standing on her own in this band. She moved to Oslo in 1997, twenty years old, and soon became known among the music lovers in town. 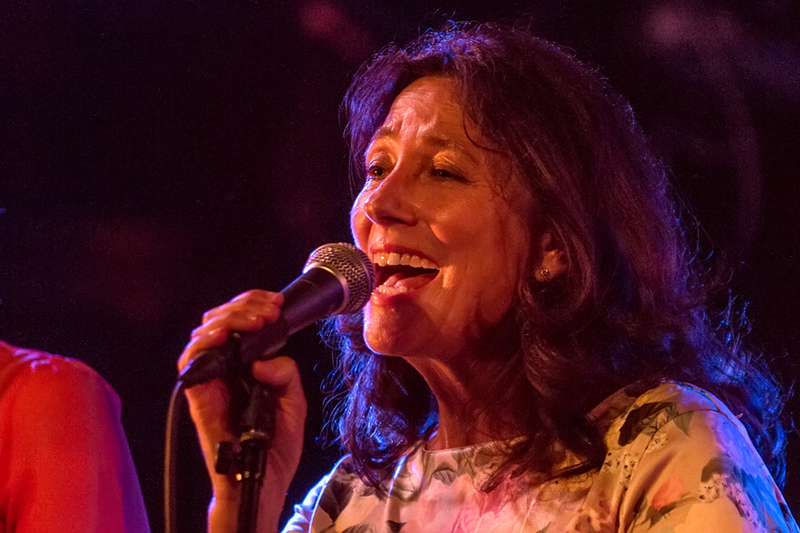 Her first CD came in 2003, and she has worked with our best jazz musicians over the years. Freddy Dahl started his career with Junipher Greene, who released one of the best albums in Norway, Friendship, in 1971. The band is still together, after periods of on and off during the years, and this fall they will celebrate their 50 year anniversary. 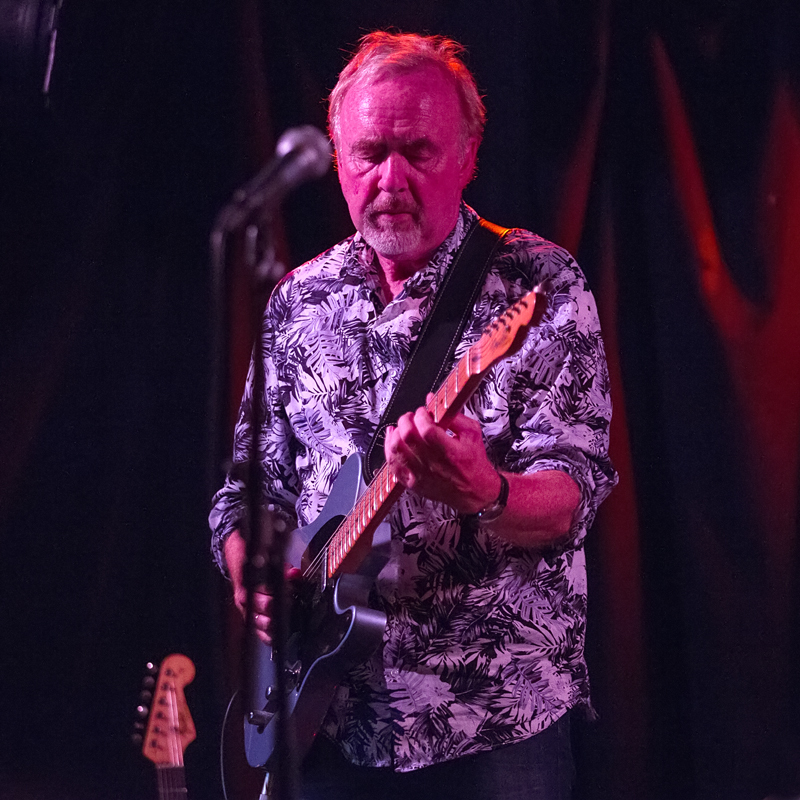 Besides Junipher Greene, Freddy has played in several bands and constellations, and is a singer and guitarist who feels at home in many styles. Kjell Larsen was the guitarist in Ruphus, which – together with Junipher Greene and Popol Ace – was our best prog rock band in the 70’s. The band had success in Europea and released six albums the years they were together. Since Ruphus, Kjell Larsen has also played in different other bands, and in recent years Ruphus has held several concerts again. 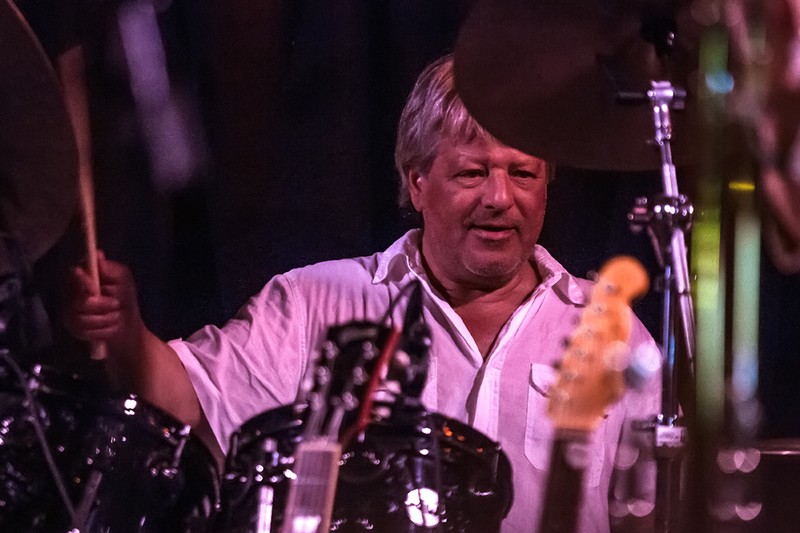 Geir Holmsen became known as a member of Jon Eberson Group, with Bjørn Jenssen on drums, Sidesl Endresen on vocals, Atle Hammer on keyboard and Eberson on guitar. After Holmsen and Maj Britt Andersen married, he turned his attention towards music for children, and he has written some of the best songs I know of in this style. As a musician, he is still one of our best bassists, specially in the crossing between jazz and rock. 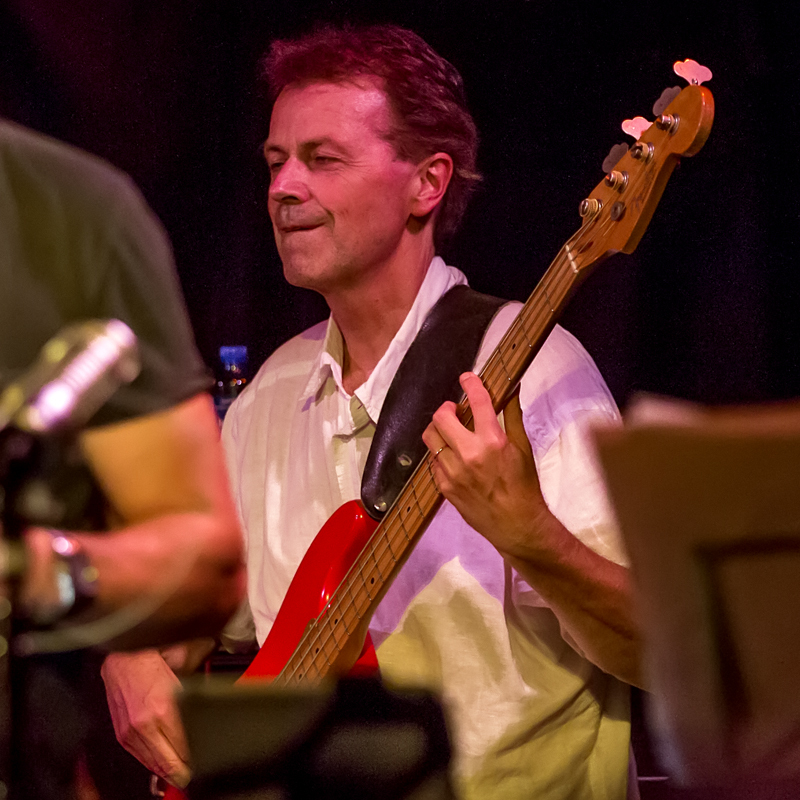 Bjørn Jenssen played in Jon Eberson Group before forming Dance WIth A Stranger in 1984. He has also played in several other bands, both before and after these two bands, and has been an often used sesion musician. In later years he has plyed with Ruphus on their comebacks. 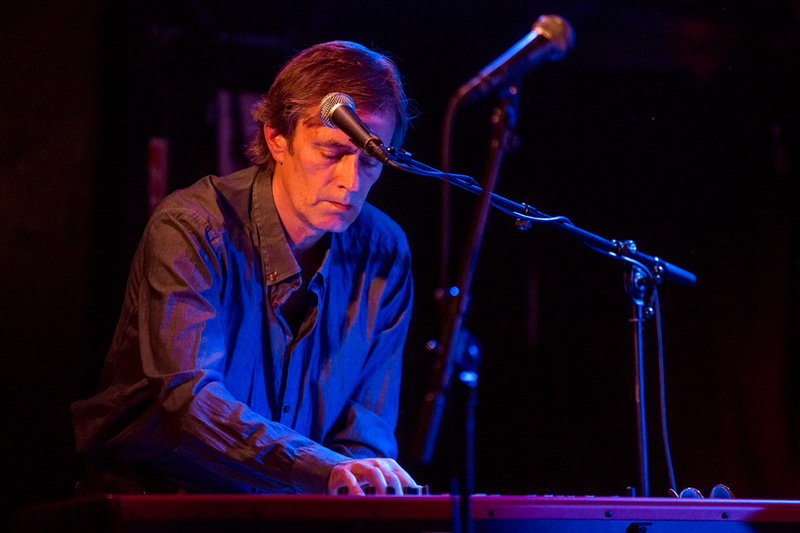 Ole Henrik Giørtz is a keyboardist and composer who has been active in jazz and jazz rock bands since the 80’s. He has also composed music for others, and was comissioned to compose for the Molde International Jazz Festival in 1993. Ole Henrik has also written a textbook about jazz harmony. 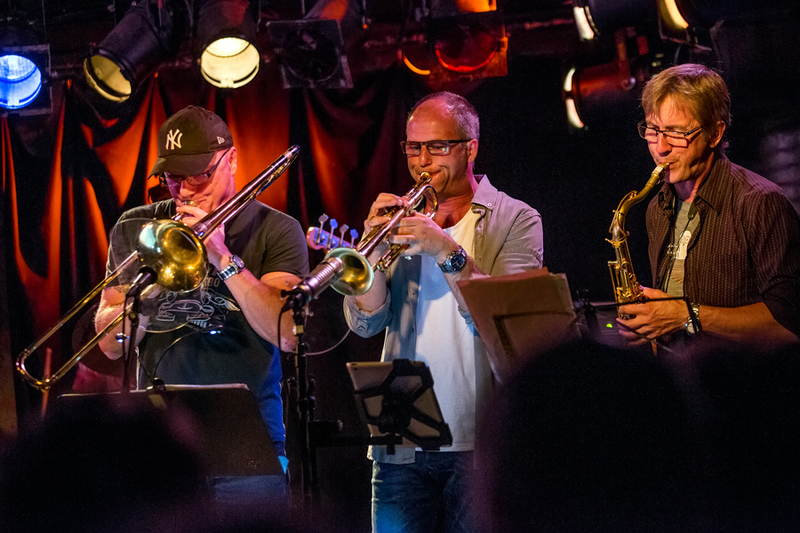 Morten Halle, Torbjørn Sunde and Jens Petter Antonsen started Horns For hire in the 80’s, playing with different artists on CDs, concerts and in numerous TV shows. They are all equilibrists on their instruments, and have a unique sense of timing that made them suitable for all kinds of gigs. As soloists all three are prominent musicians, with CVs that count many of the best Norwegian artists and many international, too. Morten Halle has also composed music for several occasions. I remember Chipahua from the 80’s, but I didn’t really se them play together as a band until they played at the Molde Jazz Festival in 2002. But I have seen the musicians and singers in their earlier bands in the 70’s and 80’s. To see Chipahua again on Thursday was one of my highlights so far this year. And to hear songs like the ones I have already mentioned, together with Son of a Preacher Man, Signed, Sealed, Delivered (I’m Yours), Chain of Fools and River Deep, Mountain High with such joy, was a true pleasure. Chipahua might not be the most original band, but you will have to look hard to find a better, more fun and tight cover band today. 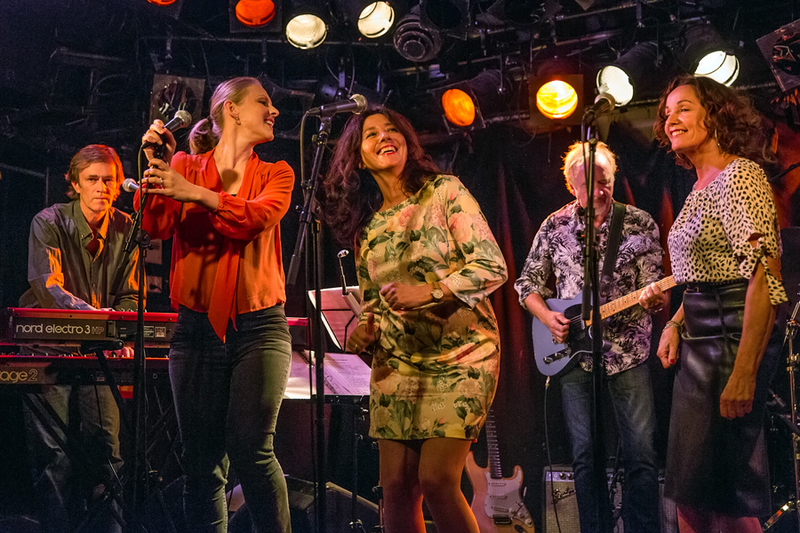 This entry was posted in Concert and tagged Chipahua, Freddy Dahl, Horns For Hire, INger LIse Rypdal, Maj Britt Andersen, Torun Eriksen by Per Ole Hagen. Bookmark the permalink.